“Belgium’s national dish, the deep fried potato sticks that much of the English-speaking world gallingly calls “French fries”, has been saved. So, at least, the national government said Thursday (19 July) as the European Union agreed to amend food safety rules aimed at curbing cancer. Belgium’s farm minister claimed the EU will now spare the nation’s “friteries” from having to change traditional preparation methods. “The Belgian fry is saved! Europe has listened to Belgium,” Agriculture Minister Willy Borsus said in a statement retweeted by Prime Minister Charles Michel following an EU decision. The news was doubtless all the tastier as it came on the eve of Friday’s National Day, commemorating the 1830 revolution that won Belgium independence from Dutch rule. In a statement issued in Brussels, the European Commission said EU governments had agreed its proposals to force cafes and restaurants to apply measures aimed at reducing the presence of carcinogenic acrylamide in food. Frying, baking and roasting produce the substance out of natural acids and sugars. 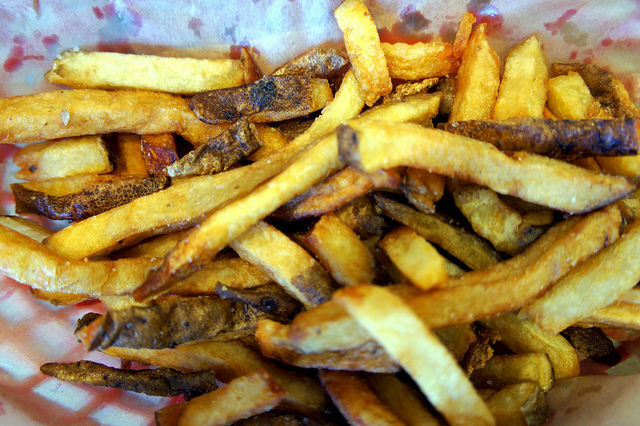 Some argue that Belgium’s traditional method of frying potatoes twice to get crunchy chips creates more acrylamide. Minister Borsus said Belgian amendments were incorporated into the text. The Commission said the measure must be applied in ways “proportionate” to the size and type of establishment. Belgian fries are typically sold in paper cones from roadside shacks whose image got a recent international boost when German Chancellor Angela Merkel popped out for a snack during a particularly trying EU summit in Brussels last year. Why do you call this ‘french fries’ in English? 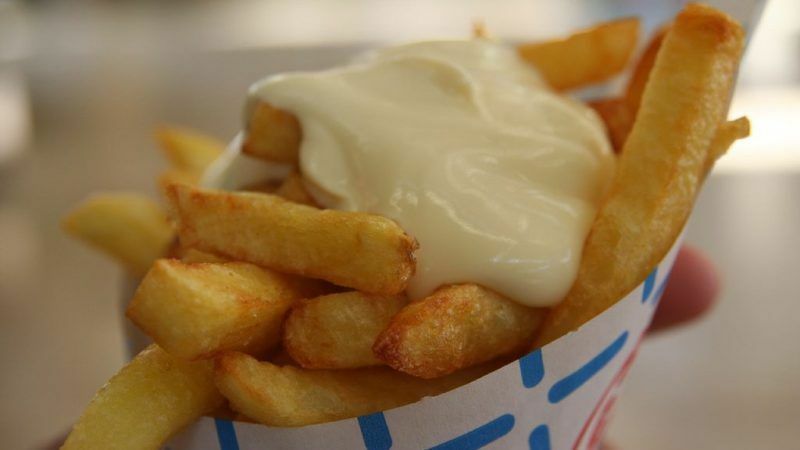 You don’t fry an french people do you…even dutch ‘patat’ makes more sense. please call it pommes frites..